We don’t think you’ll find another payroll system as feature rich and as clear as Crystal Payroll. Crystal Payroll has been meticulously developed here in New Zealand and operates in accordance with the latest financial regulations and employment laws. 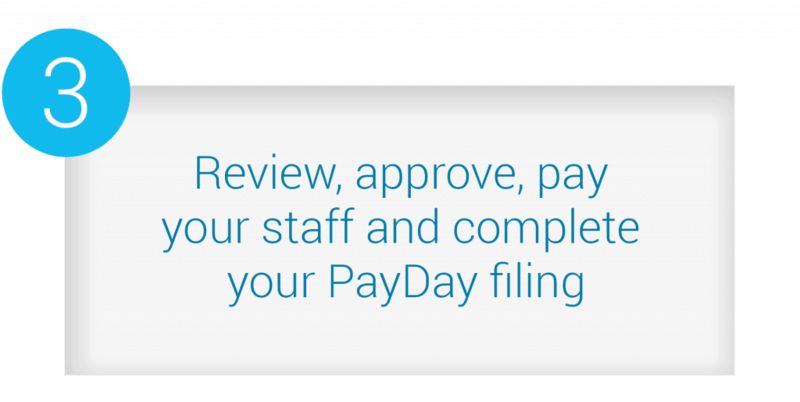 Payroll is as easy as 1, 2, 3! QuickBooks, many other accounting systems as well as many other time and attendance management systems. Keeps track of KiwiSaver and manages fixed or variable allowances, deductions and withholding tax for sub-contractor payments. Hourly or salaried employees at varied pay rates. Your data is secured with strict encryption safeguards (which exceed industry standards), backed-up automatically and stored off-site in NZ. You choose who can access the system and to what level, and can easily track where changes have been made and by whom. Streamline and improve your processes further with Crystal Manager and HR Management add-ons. Even if you choose to stop using Crystal Payroll, your account will be available (on a read-only basis) so that you can access and extract information. A wide range of timesheet formats, payslips and reporting options. All reports can be e-mailed or exported to spreadsheets or PDFs. How do I move my payroll online? It’s easy! Import, export and link your data simply. We integrate seamlessly with all the major accounting systems, providing numerous General Ledger formats. We make it easy to import time clock data from all the key players and you can link your payroll with any bank. Need more detailed information? Crystal Payroll will enable you to analyse every aspect of your business payroll, for any period of time you choose. Which Crystal Payroll package is right for your business? Find out more about our pricing and package options.